Well Kurvira is the only main villain that in the end realized she was wrong and owned up to her mistake. And of the two villains that survived, she went to jail knowing what she did was wrong and went there gracefully while Zaheer was ranting like a mad man. Though Zaheer now knows he screwed up, but that was much later. But everyone else, Amon tried to run away and I don't think he learned his lesson outside of I love my brother, and Unaloq he showed no remource or hints of learning anything. I don't ship Korrasami (I prefer them as just friends), but the hand-holding to me implies more than just a girls night out. I could be mistaken though. I'm pretty sure it was implied, and rather explicity. I am saddened that they went that route. Ignoring my own personal objections. I wanted Tenzin and Korra's conversation to be the ending. They have the most developed relationship in the show. I enjoyed this more than the TLA ending. "The power of the shinobi...is the power to protect what's important to you." "Okay, then, tell me. Are you prepared to kill to protect what's important to you?" So the spirit portal. I went O_O when I realized that's what Korra was doing. I'd been hoping she would spiritbend the Vaatu laser at some point in the finale so I'm very pleased she did it, but I wasn't expecting the action to result in a spirit portal. I was hoping for laser bending as well! 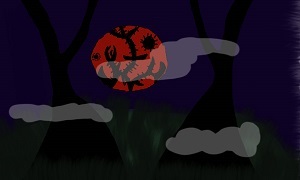 And when it went "WHOOSH" into the portal, my face was the same as yours. So, rather cool to see. Bryke were just like "eff it. We ain't gonna be writing Avatar stuff anymore, so take this fans!" I.... I don't know if I loved or hated these final two episodes. I just wish that Asami was more than just a love interest. You know, in retrospect, she's perfectly the Token Love Interest, shallow and without much purpose besides that. 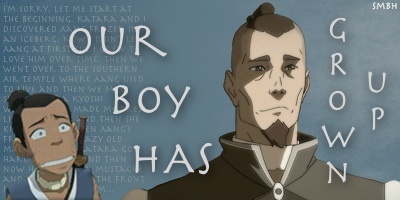 ATLA ending > Korra ending. I loved the finale, I really did... But Korrasami? Please don't take it the wrong way, but I really only liked them as bff's. I wish they could've done a bit more Makorra at the end but oh well. I just wished the ending just left it as a friend thing with everyone looking at the sunset. I know, right?! There has to be a fourth one on the opposite side of the planet now, created by some kind of spirity counter-reaction or something. That's my head-canon unless any Word of God dictates otherwise. I just assume that the new portal is like a pit stop between the other two. Am I the only who thought when Su told Kuvira said she would pay for what she has done was unnecessary and kind of harsh. She said was sorry and willing to take her punishment, you could have just tooken her away silently, didn't have to add that in like she is rubbing it in. So now there's three portals, one on each pole and the one in Republic City. Makes me wonder if a counter-pole was made on the opposite side of the world from RC at the same time. Dunno why, but the spirit portals strike me as a matched-pair kind of thing, maybe because the two we knew about were in opposite poles. So massive concentration of spirit energy can open portals. I kind of like this. I would have expected something major to happen after messing about with the vines. I also like how the spirits didn't need to intervene and by opening the portal Korra may have made them a bit more receptive to humans in the future. I .... That ending. Two ships were implied? reply. Maybe he really is past that part of his character arc. I agree regarding Tenzin. I've always enjoyed their mentor-student dynamic, but also the supportive role he took towards her as a person. I'm glad they had a moment at the end. That was kind of funny. Though Su has always been kind of vindictive. Well, Su's bound to take it more personally than everyone else, what with their history and the thing with Junior and all. Also loved the Tahno cameo xD !!! And he was playing that song! What was it called...? "Hitting on all sixes" or something? Was he always the one playing that when it could be heard in the background way back in book 1? I can't believe they went there. but I really only liked them as bff's. Well with 3.5 seasons of establishment of that fact, I think most people would. Korrasami needed much more establishment. And it never got it, save for a few lines in Book 4. 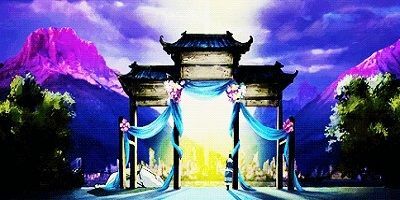 Makorra was established. ZhuVarrick was established. Bolin and Opal was established when they first met. Korra and Asami? Never got it.